I was reading an article on Salon recently about how Elvis Presley overdosed on drugs. The article described the way in which the ambulance drivers pulled up to his mansion after being called. Elvis's assistants were trained to avoid the word "drug" when talking about Elvis. They were supposed to use the word "medication". 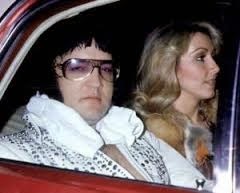 There was one assistant who kept telling the Ambulance operators that Elvis might have overdosed. Some of the other assistants at the house were kind of shocked that someone would talk about "overdose" considering their training. The title of the Article is The Elvis Presley coverup: What America didn’t hear about the death of the king. It was written by Joel Williamson. I think some of the most interesting details can be found a ways down the article after the story about the Ambulance pulling up. The part where they talk about the number of prescriptions that were given to Elvis by his doctor George Nichopoulos. The article talks of an investigation into the 7 months leading up to Elvis's death. investigators who visited 153 pharmacies and spent 1,090 hours going through 6,570,175 prescriptions and then, with the aid of two secretaries, spent another 1,120 hours organizing the evidence. The drugs included uppers, downers, and powerful painkillers such as Dilaudid, Quaalude, Percodan, Demerol, and cocaine hydrochloride in quantities more appropriate for those terminally ill with cancer. The article said that at 2 a.m. the morning of Elvis's death, his doctor was ready to prescribe for him again. He responded to a telephone call from Elvis by prescribing six doses of Dilaudid, an opiate that was Elvis’s favorite drug. How much was Elvis's decision to use pharmaceutical drugs recreationally stemmed from public perception of street drugs? If marijuana was more accepted in society would Elvis be more willing to try it? If Elvis could have used marijuana he may have found that he could reduce the amount of Opiates in his life. Opiates have a nasty way of causing humans to stop breathing. Marijuana does not cause breathing to stop. Marijuana actually allows opiate users to reduce the opiates needed to achieve desired effect, helping to maintain a buffer zone between the amount of opiates in ones system, and the amount that would cause death. While wealthy pharmaceutical execs, and rich hospital administrators and doctors use their money to cover up the degree to which Elvis could easily acquire permission from a doctor to use "socially acceptable" drugs average Americans are arrested for growing, getting, or sharing a safer herb from "the streets". Marijuana is safer, and if pro-cannabis folks had the kind of money that doctors, pharma execs, and hospital administrators had maybe an ad campaign could be launched to change public perception and public policy. Until then, I guess average people who make the smarter, safer choice to use marijuana instead of pharmaceuticals will be arrested, and will have a mark placed on their permanent record making them unemployable, and another average American is even farther from building the capital necessary to mount a pro pot ad campaign. Thank you for reading Safer Shirts, Thank you for donating, if you would like a gift for your donation please check out the Gift For Donation Form Here.